The revenue for the quarter and year ended March 31, 2018 are reported net of GST, while revenue for the corresponding previous quarter and year were reported inclusive of excise duty. 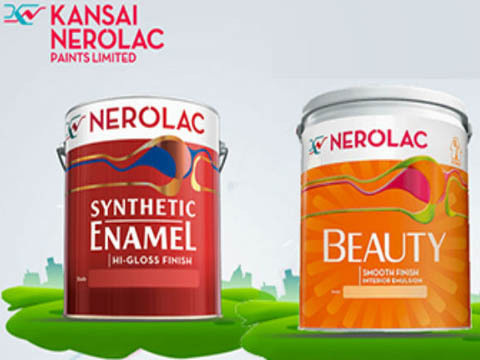 Kansai Nerolac Paints has reported a loss of Rs 105.81 crore bringing down the standalone net profit to 8.91 per cent for the quarter ended March 31. It had posted a net profit of Rs 116.17 crore for the corresponding quarter of 2016-17. Total income stood at Rs 1,122.19 crore as compared to Rs 1,085.98 crore in the year-ago period, the company said in a BSE filing. The revenue for the quarter and year ended March 31, 2018, are reported net of GST, while revenue for the corresponding previous quarter and year were reported inclusive of excise duty. Goods and Service Tax (GST) implemented from July 1, 2017, replaced excise duty, service tax, and various other indirect taxes. Kansai Nerolac Paints MD H M Bharuka said, "Company has continued to witness double-digit growth in all segments this quarter. Inflation continued to be high this quarter also. The company is making sustained efforts to get price increases from its customers. It expects the growth momentum to be sustained in the near future due to favorable macroeconomic factors, though pressure on margins due to crude oil price increases and a volatile exchange rate will continue." In a separate filing, the company informed that its Board has recommended a dividend of Rs 2.60 per share for 2017-18. Kansai Nerolac stock settled 0.71 per cent higher at Rs 503.45 on BSE.